A classic Rolex is about as obvious a choice as you would expect (this IS Bob’s Watches, after all). Even without being in the retail business, a Rolex watch is a smart choice as a grad gift for three key reasons. First, watches like this silver dial Datejust are simply timeless, versatile classics that never go out of style whether your grad is headed for the boardroom or the open road. Second, Rolex watches are built like a tank, making the kind of thing your grad can wear and enjoy for decades. Lastly, especially when buying pre-owned, they’re an investment piece. Statistically vintage Rolex do nothing but increase in value over time, meaning should your grad (heaven forbid) face tough times down the road, he will have a solid asset at his disposal. 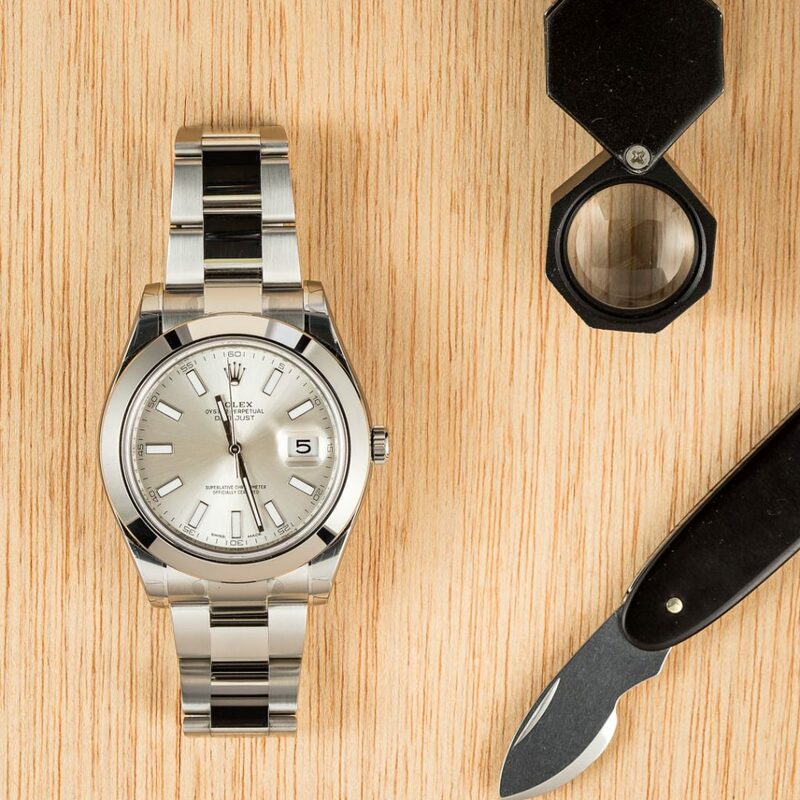 If the Datejust feels a bit too conservative for your grad, the Rolex Explorer II 16570 is a sportier option. Likewise, you can never go wrong with the classic Rolex Submariner 116610. This watch is as timeless as it is iconic – tasteful, functional, and most importantly durable. Whether signing contracts or penning the next great classic of american literature, there’s a lot to be said for a good pen. Montegrappa is one of the real benchmarks in the industry when it comes to quality craftsmanship, however there’s a specific reason we opted for this sleek Fortuna Mule. Being crafted in copper, this unique pen will slowly begin to patina with age, evolving as time goes on in a similar fashion to how we all grow and change with time. 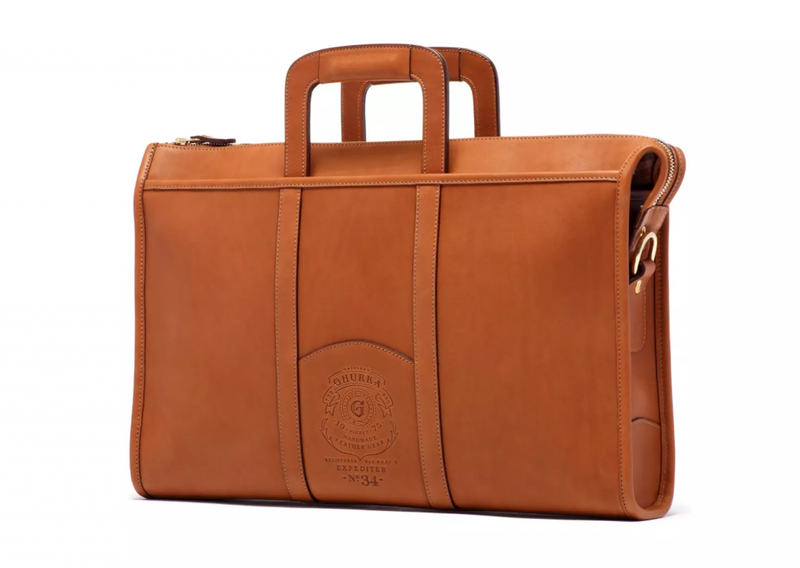 Yet again, there are countless selections on the market for a respectable briefcase, though few are the type that are genuinely built to last a lifetime. Ghurka, much like Berluti, crafts their leather goods from the finest leathers available—in this case French calfskin, due to the fact that the French don’t used barbed wire, and their climate is cool enough that bug bites are also a non-issue. The Expediter No. 34 Attache case is a classic design dating back to 1979, yet one which translates perfectly to present-day business needs. 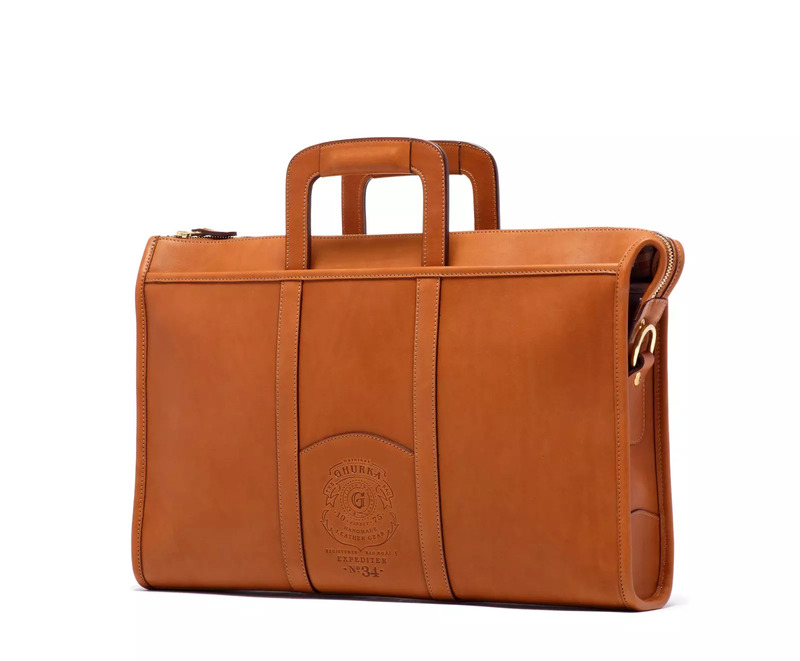 The sturdy and understated bag is large enough to fit a laptop, notebook, tablet and other necessary daily essentials with easy, and can be used with a supplied shoulder strap when the day calls for a more casual carry. Now we know that technically adding a whisky to this list seems counterintuitive to our general approach regarding the longevity of our selections, but celebrating graduation is also very much about the experience. Thus, connecting this momentous occasion with the experience of sampling a rare limited-edition Scotch whisky is a logical one. Also, should the of-age grad be capable of showing some restraint, a bottle like this Jura 28 Year Old Platinum Old and Rare should last a reasonable amount of time. 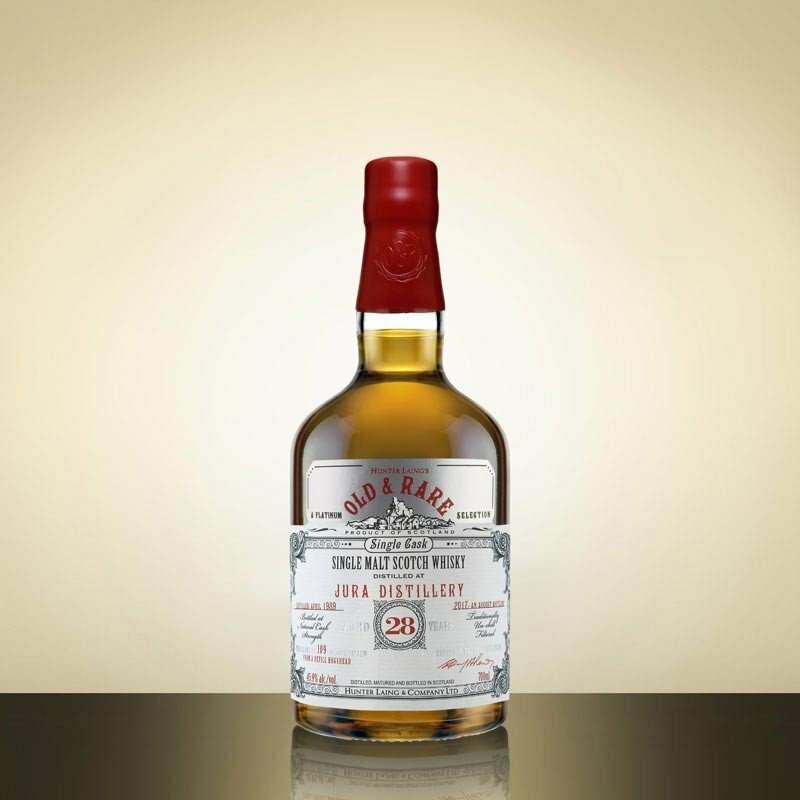 This particular single cask expression was distilled in April of 1979, and bottled in August of 2017, and it’s a particularly tricky one to track down on the open market, as only 109 bottles of the rarified spirit were ever produced. Unlike our other selections, this pick remains a touch more vague because selecting the right suit is entirely too personal decision. At the end of the day what truly matters is fabric and fit. The best suit can easily be ruined by not having the perfect fitment, and often more moderately-priced suiting can quickly look like a million bucks if your tailor knows what he’s doing. 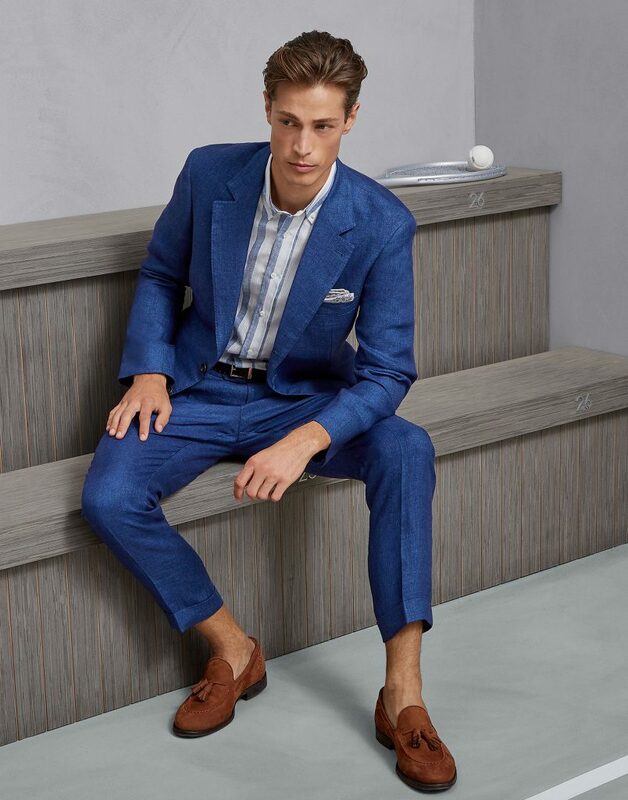 Personally we’re rather partial to offerings from Brunello Cuccineli and P.Johnson these days, but a browse through the suiting offerings at Barney’s or Neiman Marcus will reveal a plethora of noteworthy options. For something a touch more special, going custom/bespoke can be a solid option, especially if you’re in one of the country’s hubs. Outfits like High Society in Los Angeles, and Musika Frere in New York both offer exceptional bespoke and made-to-measure suiting using world-class fabrics, and on occasion the aforementioned luxe department stores will hold custom suiting events for certain brands, which would be another option to keep an eye out for. Of course the right suit would need to be paired with an appropriate dress watch, but that’s a talking point for another occasion.